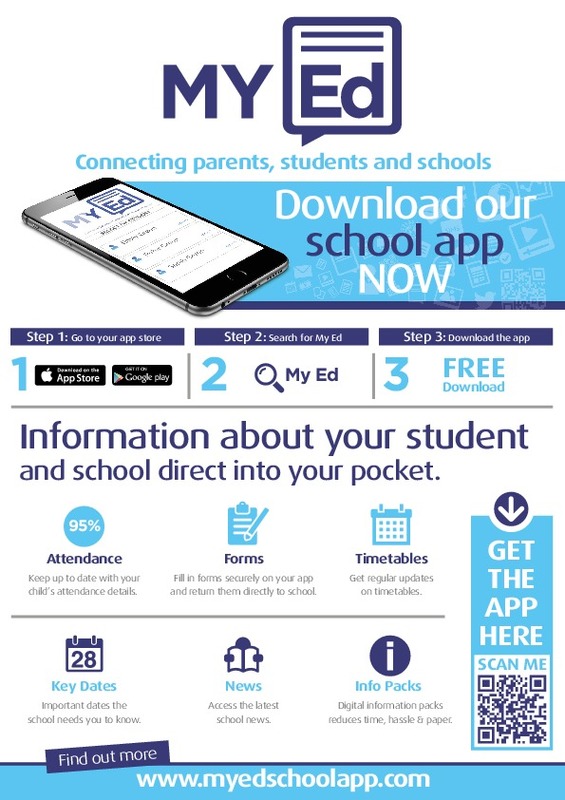 We have recently launched our new school app; MyEd. Parents will be able to view a variety of information relating to their child including absences, their childs timetable, positive and negative behaviour points, ParentPay, Show My Homework, receive electronic copies of their child's reports, website updates and much more. Please see below details on how to download the app.